The Telangana State Government has come up with Rythu Laxmi Scheme for the farmers. In this scheme twice a year farmers will get financial assistance from the state for cropping. Under this scheme rich farmers are asked to forgo their input subsidy to facilitate the small farmers. Financial help will be given on the basis of land holdings. Chief Minister of the state of Telangana, K Chadrasekhar Rao has made an announcement about the scheme during the last week of the month February in 2018 at Farmers’ Coordination Committee Conference. According to the rule of the scheme, every year on Kharif Season and Rabi Season farmers will receive input subsidy or financial help from the government. First cheques of subsidy amount will be provided on 20th April 2018 and second cheques will be handed over on 18th November 2018. Amount of Subsidy: Under the scheme each farmer will get Rs. 4000/- per season per acre of land every year as input subsidy. Overall each farmer will get Rs. 8000/- per year for each acre of land they hold. With this amount they can buy essentials for cropping and farming. Objective: With launching this scheme the state will be able to provide more exposure to the small farmers. It will also be helpful for growing GDP in the state as agricultural expansion will take place. 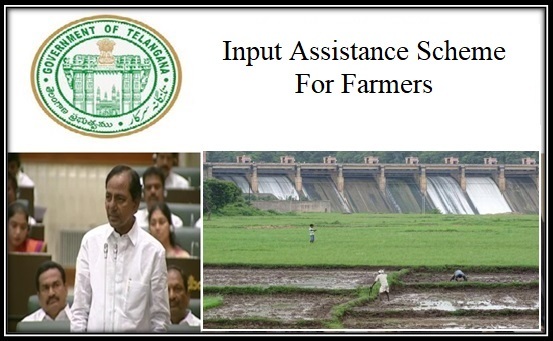 Seasons: As mentioned input assistance will be given to the farmers in Kharif and Rabi seasons. Kharif season starts from April and Rabi season starts from November. That means in April and then in November the scheme will start implementing across the state. Bank Transfer: There will not be any cash transaction in this scheme. All the money will be transferred to the bank account of the farmers. This will also be in support of cashless transactions in India. Land Holding: There is no upper limit of land holding under this scheme. As per a survey, 90% of the farmers in the state do not own more than 10 acre of land. Nearly 1.49 Cr acre farming land of 71 Lac farmers are found in Telangana state. Cost-effective: As the scheme will provide input assistance to the small & medium farmers. It will be much cheaper for them to harvest more and earn more revenue. They can easily buy seeds, fertilisers, pesticides and all other essential inputs from the subsidy they will get. Rice Planting Machine: Along with the financial assistance the state is also keen to provide rice planting machines to the farmers to enhance agricultural process in backward areas in the state. Though there is no official statement for this, but the government is planning to provide such machines soon. Handbooks from FCC: The farmers’ committee is planning to hand over handbooks to the farmers for more knowledge about the scheme and other farm related facts. These handbooks will be helpful for the committee members to understand the growth of agriculture in the state and so on. The scheme is for the small & medium farmers, peasants and Ryots. Farmers who don’t have land holding or those who are tenants are not eligible for the scheme. Also rich farmers will be excluded from the scheme. Moreover Chief Minister had requested the Rich farmers to forgo their subsidy to help the small peasants. Currently the state has more 70 Lac farmers, among them 44 Lac farmers fall under this scheme’ eligibility criteria. The scheme will cover these 44 Lac farmers and provide them financial assistance twice in a year. As mentioned that the scheme will start implementing from 20th April 2018, the first phase of the scheme implementation will start from then. On that day, the state government will hand over cheques in the name of the each eligible farmer to them. On April 20th they will get cheques of Rs. 4000/- for the Kharif season cropping. Next cheques will be provided on 18th November 2018 at the time of Rabi Season. With this the second phase of the scheme will start. The amount will depend on the basis of part of land holding by the farmers. The process will be done through the bank accounts of the farmers. They will have to submit the cheques to their respective bank branches to get the money in their accounts within stipulated time. The state has announced that Rs. 12, 000 Cr will be spent on the scheme for betterment of the farmers. On the occasion of launching the scheme Chief Minister has forgone his support for the input and asked other rich farmers to so the same as him to facilitate needy farmers. The state of Telangana will soon start implementing the scheme through core banking system. For this the state will have to take care of the banking system as huge amount of money will be transferred from account to account within short span of time. Rythu Bandhu scheme will be launched in Karimnagar today, And passbooks and cheques will be given to farmers of the state.